Barry Humphries is perhaps the greatest comic genius of our age. Satirist, comedian and burlesque entertainer, he enthrals audiences across the globe. As housewife megastar Edna Everage, he savages-and enchants-all in his path. His shambolic diplomat, Les Patterson, shocks and titillates, while Sandy Stone, poignant chronicler of suburbia, can bring audiences to tears. Yet Humphries, the man, remains an enigma. In his fifty years performing, he has avoided scrutiny of his true self-and the influences that help shape his characters. 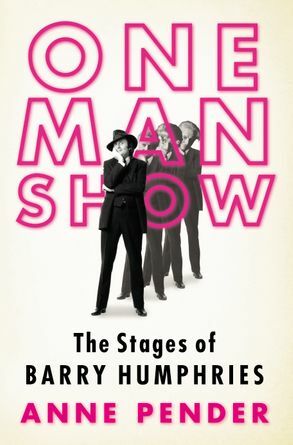 ONE MAN SHOW examines the life, and the aspirations, of this enormously talented artist. From his youthful pranks on the staid streets of Melbourne, the phenomenon that was Barry Mackenzie, and the dark years of alcoholism, through to his successes on television and Broadway, this finely drawn portrait reveals the truth of Humphries' world. It is the definitive story of a mysterious individual and his theatrical magic. Anne Pender lectures in theatre studies and literature and has written many articles on Barry Humphries and his work. She lives in Armidale.